Have you ever thought of taking a trip to where your favorite blockbuster movie, TV Drama or series was filmed? For most people, this looks like a far-fetched idea, but that is not the case when it comes to Game of Thrones. The Game of Thrones is by far one of the most enthralling American fantasies Drama well known for its gory death scenes. Game of Thrones is based on the book by George R.R Martin. It is well known for its bloodbaths, violent and some of the best scenes. However, one thing that will strike you out is the real-life setting of the lands of fire, ice much more. They are a lot more tranquil, and peaceful making lovers of the drama want to visit there. Below you will find 10 Game of Thrones filming locations. Dubrovnik, Croatia was the main filming location and one of the best places you can visit and have the feel of the city. 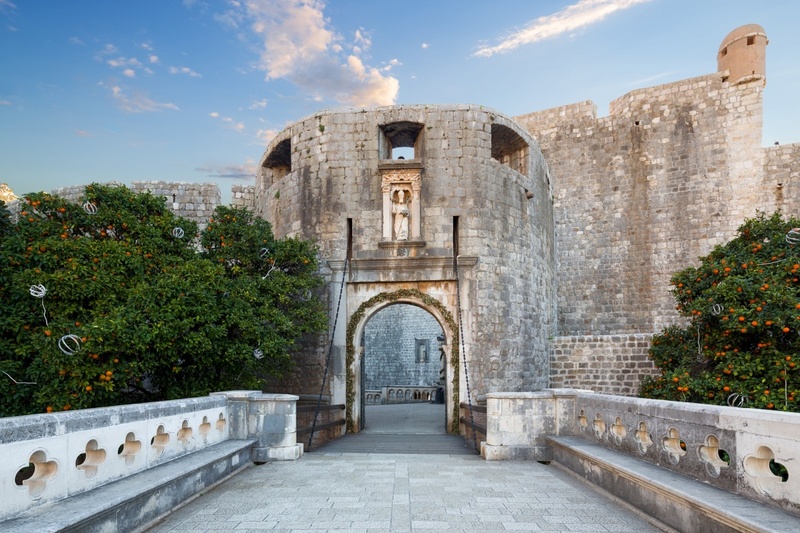 For those who have watched the series and love it, visiting Dubrovnik, Croatia will feel like some déjà vu as the city was nicely integrated into the series. The old city looks amazing, and no special features or further necessary scenery was required. The fortified port city of King’s Landing was the stronghold of the Lannister family. The larger outer walls of the city with fortifications built over time been frequently shown. The narrow streets you get to see in the series where most of the actions took place can be found here in real life. You can walk and have a feel of the same streets where most of the actions took place. Most scenes in the course of the episodes can be seen happening in the narrow streets of the old Dubrovnik, Croatia town. 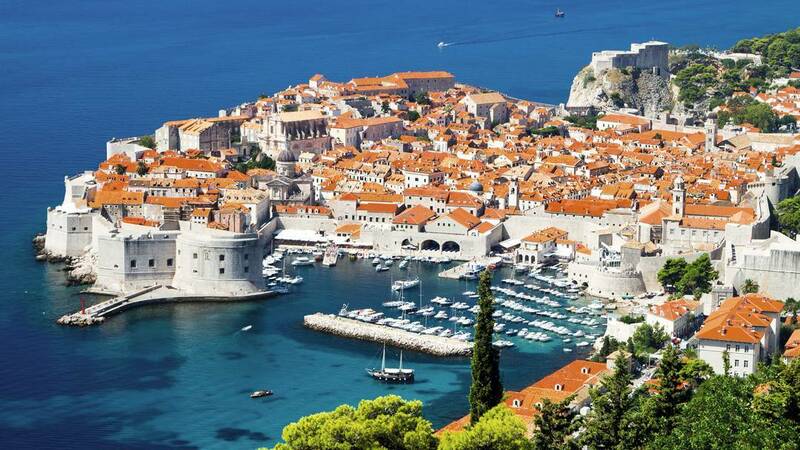 This old town of Dubrovnik, Croatia was founded in the 7th century by refugees from Greece and remains a world UNESCO heritage site due to its historical significance. The brimming and amazing architecture is reason enough to visit and is properly why the Game of Thrones was filmed there. 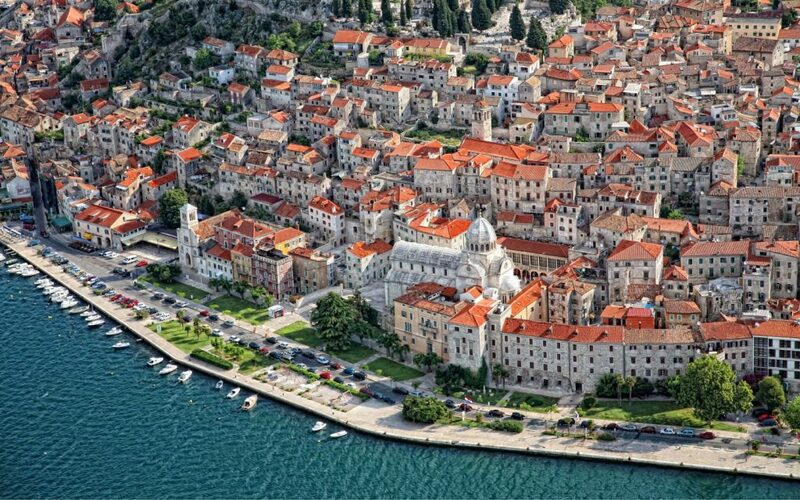 You can take a walk along the city walls that surround the city as you get the stunning views of the Dalmatian Coast. The walls give you a bird’s eye view of the city. One of the places you can see from the wall that was featured in the series is the Fort Lovrijenac. It is an impressive structure that has been nicely built on an outcropping rock. Pile Gate has been featured in the series severally and is the meeting point between the locals and the visitors. This is the place where the Lannisters bid their farewell to Myrcella. It is a great place to visit and experience the atmosphere. This is the very place in the series where Shae and Sansa Stark watch the ships before escape plans by Lord Belish are discussed. Pile Harbor feature greatly in the second and third season. One of the most prominent scenes from the Harbor is the killing of Robert Baratheon’s bastards. Pile gate is the main entrance to the old city and is where the Lannister procession takes place when they return after the Myrcella sendoff was attacked by an angry mob. The Pile Gate is a fortified complex and has multiple doors. On the Western side, there is a stone bridge with two arches that was built in 1471. It is connected to another wooden drawbridge and was closed each night with a ceremony that gave the city keys to the Ragusan sector. The gates today are open to countless visitors, and you can be one of them. There is no other place on earth like Sibenik. Well, that is what is commonly said by the locals there and a visit there will be fulfilling in every way possible. In the series, Bravoos is depicted as one of the strangest city erected by the people against the freehold. The city is unique in the series and was founded by a large group of slaves who overpowered the Valyrian Freehold. Sibenik and its surrounds are quite photogenic with several other Croatian films and music been filmed here. Meereen and Braavos were filmed in Sibenik with the next season being moved to Spain. The Royal Palace of Dorne was filmed in Spain Real Alcazar Seville, Spain. It doubles as the location for Bronn’s Myrcella and Jaime rescue attempt. This took place in the Dornish Water gardens. It is a great place to travel and get to have a feel of what Seville has to offer. You can also visit the Osuna bullring located just outside of Seville where Meereen’s fighting pit and Daerery’s flight dragon took place towards the end Season five. 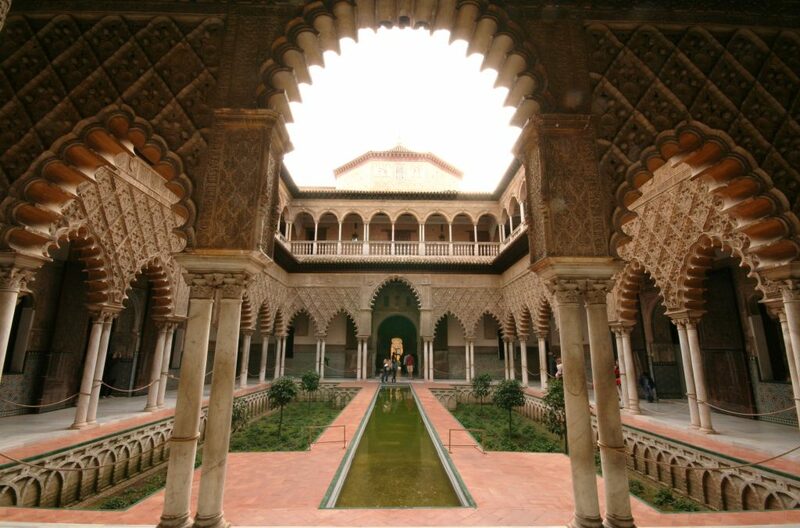 The Real Alcazar of Seville Spain is the perfect substitute for Sunspear which is the capital of Dorne and its water gardens make it stand out. It looks stunningly beautiful and must make it to your travel plans. The Alcazar looks like a Moorish palace with beautiful rooms, but you will be surprised to learn that it was built by Moorish workmen for the Christian King Pedro. The palace has withstood various restorations and remains one of the best Mudejar architecture remaining. The grounds of the palace are fascinating and extensive, and you will need enough time to wander around and have enough of it. You will require two to three hours at most to tour the palace gardens. Nobody visits Seville without taking a tour of the Alcazar. The Dark Hedges were planted in the 18th century by the Stuart family to impress visitors who came to their Georgian mansion but have come to be the greatest tourist attraction in Northern Ireland. 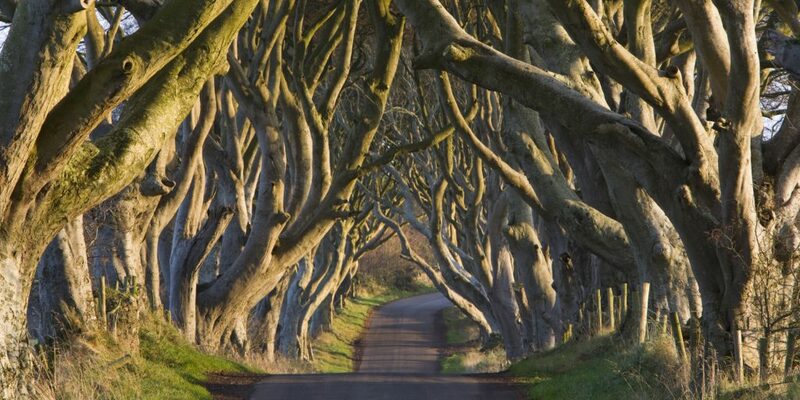 They have become the most photographed place in Northen Ireland and represent the King’s Road in the Game of Thrones. The road features in the first episode of season two where Arya Stark escapes from the King’s Landing after disguising herself as a boy. Together with Gendry, Yoren, Hot Pie and others, they join the Night’s Watch and travel North on the King’s Road in a cart. The Dark Hedges is a must place whenever in Northern Ireland having been listed among the best 12 road trips in the UK and Ireland combined. The intertwining beech branches and gnarled tree trunks are what makes the hedges an iconic site to visit. The image in the Game of Thrones is fleeting but a visit there will be a great feeling for the fans. Iceland is truly the land of Fire and Ice, and this is clearly depicted in the series bringing Iceland to the world map in a great way. 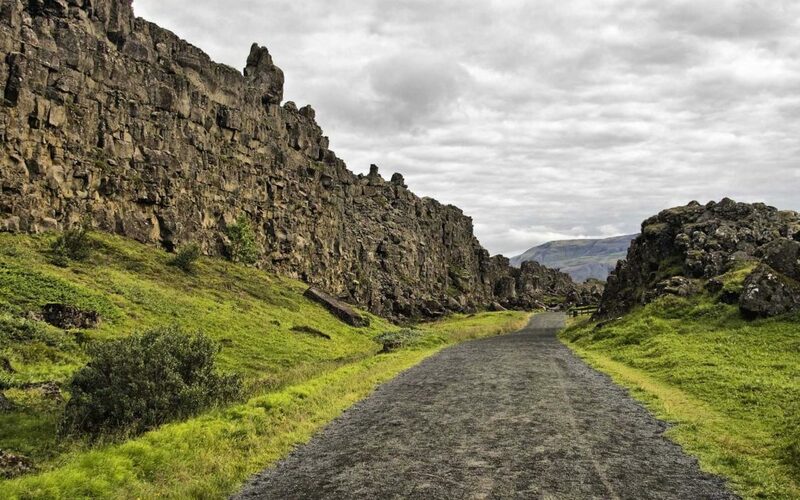 The mysterious landscape of Iceland makes it the perfect location for the land beyond the wall. Most of the locations in the series were not modified and can be visited. Some of the best filming shots taken from Iceland that you must visit include the world’s largest ice cap and the Lake Myvatn. The Lake is unique littered with sceneries of unusual lava formations known to the locals as the black castles. The majority of the scenes in Iceland were filmed in the lake, but other places also appear. The Skate fall National Park of Iceland was also put into good use and should be part of your travel plans. One of the memorable scenes from Iceland is the place where Jon Snow fights Qhorin Halfhand towards the end of season two. It is a cliff with 500-metre downfall where the actors seem glamorous, but that is not the case when you visit. Spain does not feature for the first few seasons of the series but came towards the end of the series. Spain was first added in the series in season five with the Roman’s Bridge having a stunning aerial shot in episode three of season five. The ancient structure has been used as the Long Bridge of the Volantis. We can see Varys and Tyrion Lannister (the court fixer) on their way from Pentos to another Andalucian location Osuna in the series. Tyrion remained hidden in the carriage as they walked through the bridge crammed with ramshackle buildings. 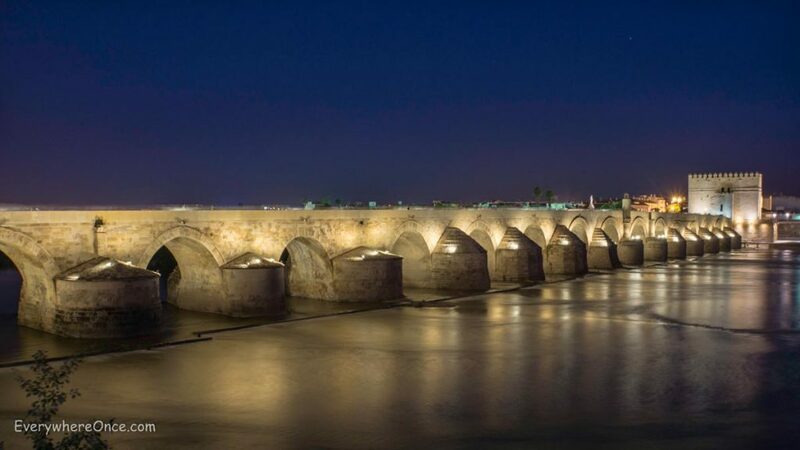 Take a tour around the Roman Cordoba and have a feel of the great bridge. The Bridge is an amazing site to visit. It surpasses other bridges around the world in beauty and solidarity. You can walk through the bridge in either direction. It is very close to the Great Mosque and can lead you towards the Torre de Calahorra. There are several historical sites you can visit when in Cordoba. These include the monuments, temples, old roads and even doors that demonstrate the greatness of the Roman Empire. After the chilly weather of Iceland, you can now head to a more favorable climate in Morocco where most of the primary setting for Deanery’s travels took place. 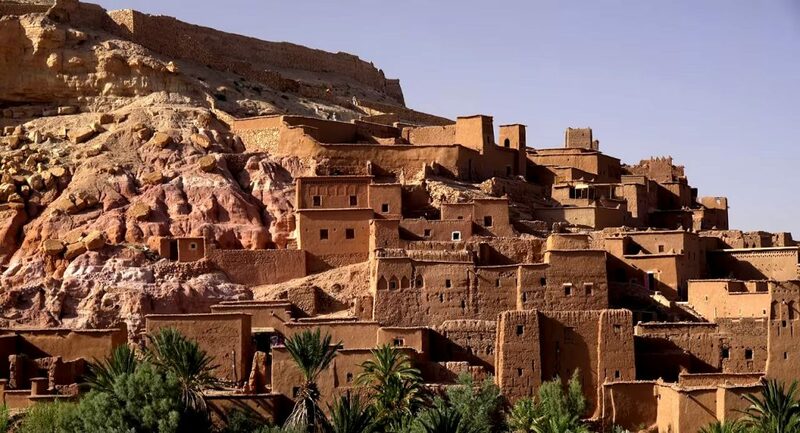 Ait Benhaddou Morocco was originally used as the King’s landing in the unaired pilot with some scenes from this place used to represent the King’s Landing in season three. It is a great place to visit designated as a UNESCO World Heritage Site. The place was utilized as the Yellow City that was visited by the mother of Dragons. The beautiful sandy Citadel is a great site and is no stranger to the limelight having been filmed in other great movies like the Mummy and the Gladiator. On the Western part of Morocco is another great city known as Essaouira which was featured in the series as the slave trade city. This is where all the slavery scenes in the series, and it housed the Plaza of Pride and the Palace of Good Masters. In real life, this is a must visit place full of life. The city is buzzing with culture with stunning views of the sea that have been greatly preserved due to the strict building regulations. 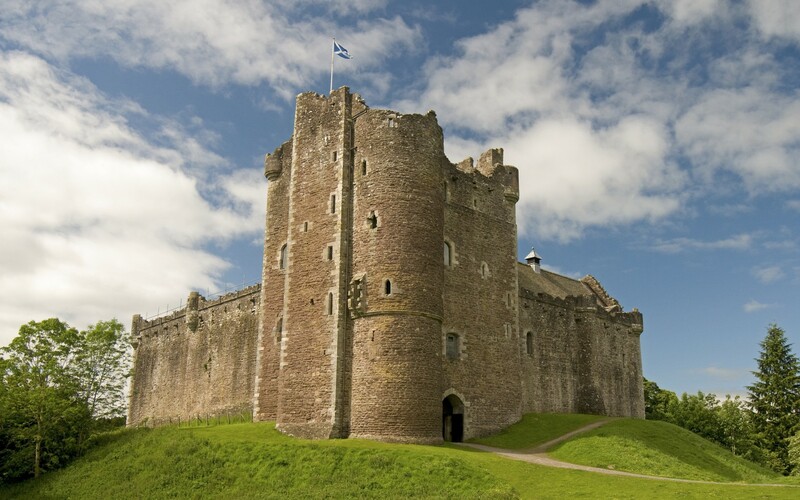 Doune Castle, Scotland is another great location featuring in the game of thrones. Winterfell was more than just a home for the House of Bolton in the Game of Thrones and remains to be the only real fortress in the central Scotland. It is a great tourist destination bringing in over 25,000 tourists every year. Doune Castle was built for the uncrowned king Regent Albany of Scotland who had a rich taste that can be seen from the architecture of the building. Make a visit there and walk in the fictional and real footsteps of the rulers. Visit the kitchen and try to imagine how the great banquets were prepared. There is a lot to see here. You can admire the great views from the battlement over the River Tieth towards Ben Lomond and Menteith hills. The rooms here are a labyrinth connect by narrow doorways and spiral staircases. Malta is a landscape that has played a key role in the King’s Landing season one and one you should be prepared to visit. Malta’s former capital Mdina has been used in the series to represent the Central City of the Westeros. The several ancient and historical buildings that have been well preserved make it the perfect location for the exotic theme of the series. There is a lot to see and do here. Local structures like the Mdina Bridge and the Pjazza Mesquita are some of the things you can see. 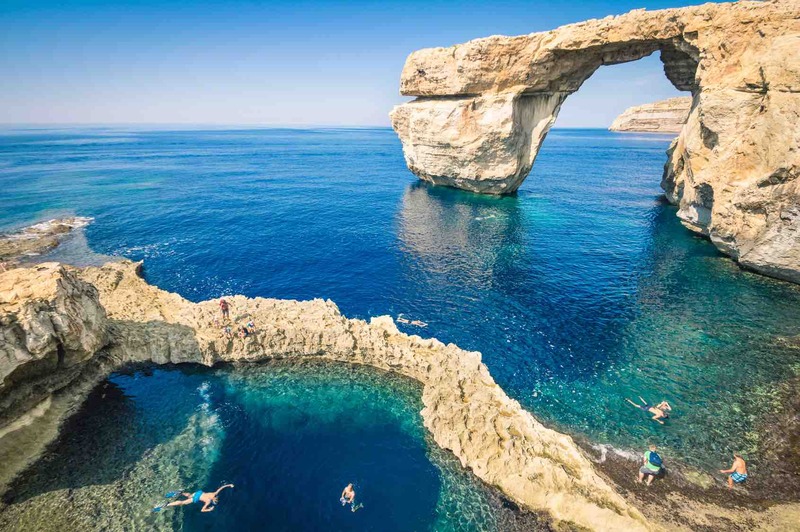 The Azure Window and the Blue Hole will give you lasting memories of this wonderful place. The Azure window has gotten a little wider after wearing down 2012 but remains a great place to visit. These are just the main locations in the series, but several other places have been left out. The Game of Thrones is one of the largest series productions in the television industry. Each season was filmed on-location in multiple locations simultaneously. The filming locations have gone on to become great tourist destinations for their unique appearances. Make sure you get to visit at least one or two of the mentioned places above if you’re a fan of the Game of Thrones. The feeling will be one to cherish for a lifetime. Official website for HBO Game of Thrones.